WASHINGTON, DC – With the Senate poised for a vote on confirming Richard Cordray as Director of the Consumer Financial Protection Bureau (CFPB), a new survey released today by Consumers Union, the policy arm of Consumer Reports, finds consumers want the bureau to continue its work without interruption. In the national survey conducted by the Consumer Reports National Research Center, 74 percent said that they support approval of a CFPB director to ensure that the bureau’s work is not interrupted. The Consumer Reports poll also found 55 percent of respondents said that interrupting the CFPB’s work would harm consumers. In a separate survey released today by Americans for Financial Reform and the Center for Responsible Lending, 80 percent of respondents said they supported the CFPB, while 83 percent said Wall Street financial companies should be held accountable with tougher rules and enforcement for the practices that caused the financial crisis. These separate surveys come as the Senate heads toward a preliminary vote on Cordray’s confirmation this week. The nomination has been stalled due to opposition by Senators who have refused to consider any nominee unless changes are first made to the CFPB that would weaken its ability to protect consumers. 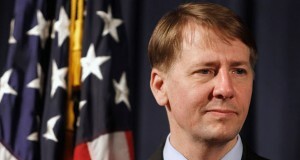 Cordray was named director of the CFPB in January 2012 through a recess appointment. He was renominated for the position earlier this year. Under his tenure, the CFPB enforcement actions have resulted in $425 million in refunds to approximately 6 million consumers who were subject to deceptive financial practices. The CFPB has also helped resolve over 133,000 financial services complaints involving a wide variety of financial issues including credit cards, mortgages, student loans, and bank account services. Consumers Union is urging consumers to tell their Senators to confirm Richard Cordray. Consumers can visit www.DefendYourDollars.org to tell their lawmakers that they want a strong financial watchdog. The Consumer Reports National Research Center conducted a telephone survey using two nationally representative probability samples: landline telephone households and cell phones. 1,010 interviews were completed among adults aged 18+. Interviewing took place over June 27-30, 2013. The sampling error is +/- 3.2 percentage points at a 95% confidence level. Media contact: David Butler, Consumers Union, 202-462-6262, dbutler@consumer.org.